If I remember correctly, it was in 2015 that I attended my first #scidata event organized by Scientific Data journal and Springer Nature. Up to that point, being (I like to believe) a serious scientist doing a serious PhD at a serious institution, I had never heard about Data Journals. I also didn’t know much about Open Data, Open Software and Open peer review. 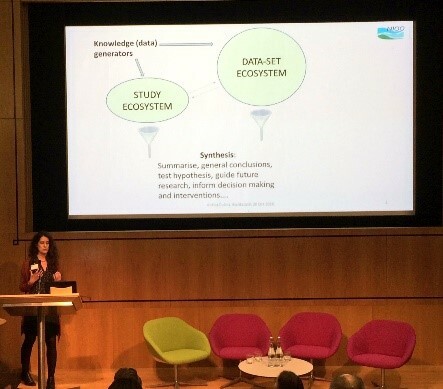 At the time, I was on my way down the path of an evolutionary ecologist, but something I encountered on this path resulted in me attending #scidata15 which then led, some years after, to working on applications of Open Science in Ecological and Evolutionary research. So, this is the story of how I went from knowing almost nothing about Open Science to working and advocating for it in my field. I always loved animals; that is why I decided to study ecology and ended up doing a lot of fieldwork studying birds. 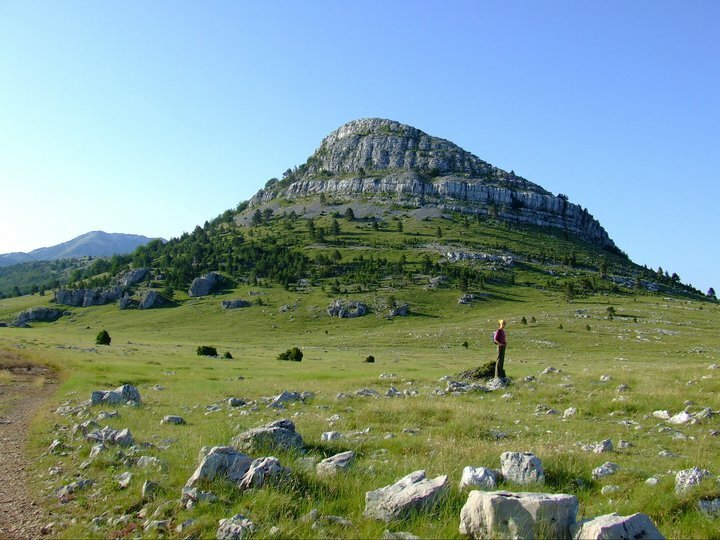 Those were great times, as Croatia (where I’m from) has such beautiful landscapes, amazing seaside, and of course, an impressive ornitofauna (i.e. bird fauna). At some point towards the end of my studies, I became aware that most likely the best way to continue my education was to find a PhD abroad. After many, many applications to many, many places, I was over joyed when I was accepted for a DPhil at Edward Grey Institute of Ornithology, University of Oxford (in 2010). My work focused on the stability of bonds between females and males: why some pairs (of birds) stay together, while other divorce. But why did I start to think about Open Data? getting to the correct information about the results is difficult and often unproductive process. It turned out to be very challenging to locate the current (active) emails of the authors (hoping they had the original data to check the results). However, even when I managed to contact authors, and when they replied, many did not have the data any longer! What a loss to science and human knowledge! Some of the bird populations in question were monitored for many years; the final result of time, effort, and money invested to collect the data was only one or two published studies. PhD is a busy and fulfilled time, and I didn’t spend much on thinking (or learning more) about these data-related issues. However, I did stay alert, and that is exactly why I attended #scidata15. 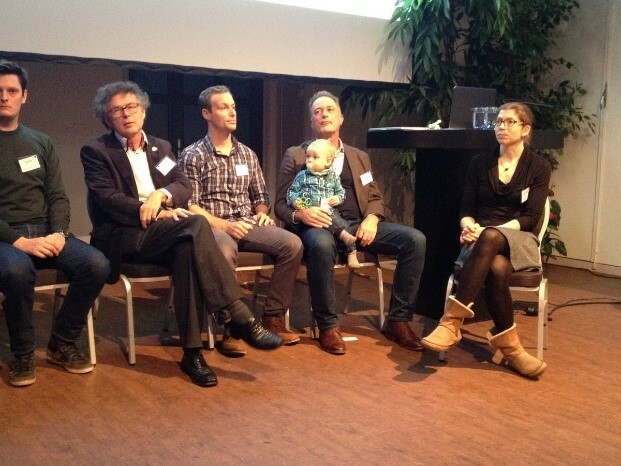 Attending that event opened my eyes to many aspects and the importance of Open Science. Therefore, when I learned about the position at the Netherlands Institute of Ecology to explore the options for the meta-analysis using open access data, I immediately applied, and got it. 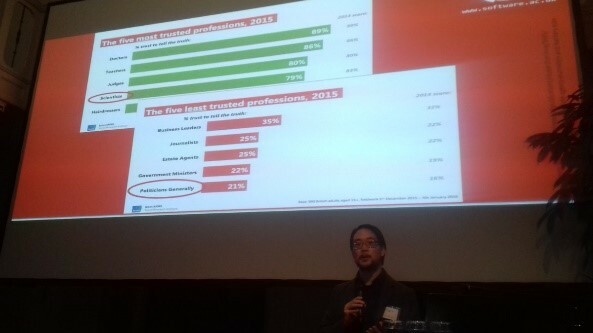 I started the position in March of 2016, and that is when my research shifted towards applications of Open Science tools and principles in Ecological and Evolutionary research (a year after, I presented some insights from the project at the #scidata16). Moving to the Netherlands brought about a big change to my life: personal – as I moved to a new county after spending 5 years in the UK; and professional – as I seriously embarked on a journey into (to me the largely unknown) waters of Open Science. This was an exciting time, and I have tried to attend as many Open Science events as possible. I also started to use Twitter much more, as I realized that Open Science is a fast growing field, and for a complete outsider (as I was at the time), this turned out as one of the best ways to learn more, stay updated, and become known. It was also refreshing to meet people outside the Ecology and Evolution community. But this was also worrying – apart from a few scientist from the fields with ‘big data’ such as genomics, it seemed that a large portion of scientists were missing from these Open Science events. Similarly, I have never seen anyone representing the Open Science side of the story at specific Ecological and Evolutionary events. So, how is the community supposed to learn about Open Science (apart from being, what many people refer to as ‘forced’ to submit their data and make them open, together with the paper)? Well, all of these factors resulted in me having many ideas on how to expand the project I was working on: some of these ideas turned into interesting projects, some are still in my head, and some are waiting to come. So, what have I achieved so far? Apart from educating myself in the principles of openness and transparency, leaning how to use Twitter, and expending a circle of connections outside of my original scientific area; I have also achieved some more concrete outcomes, which (I hope) will influence the larger Ecological and Evolutionary community. Of course, with the help and irreplaceable input of a few great collaborators and friends! Currently, my favourite outcome is a description of the Open Data landscape in Ecology and Evolution, which I hope will encourage the use of open datasets, and eventually lead to the increased quality of the archived data (read the paper here and the accompanying blog). We have also started a community-driven platform (EcoEvo data catalogue) – here, you can find the best places to search for datasets in one interface (similar as Web of Science searches for papers), and if you register, you can enter and describe new resources. I love this project, not only as I believe it will be of a great use to researchers, but also as it was a collaboration between ecologists (Marcel E. Visser, Tom Crowther, me), developers of Open Science platforms and services (Paolo Manghi, Miriam Baglioni), and a librarian (Saskia Woutersen-Windhouwer); I strongly believe that these multi-disciplinary efforts are the future of science. Competing to be my favourite output so far is a mini-symposium and one day series of workshops on ‘Open Science Tools, Data & Technologies for Efficient Ecological & Evolutionary Research’ I have organized in collaboration with DANS (Cees Hof) and IBED (Emiel van Loon). 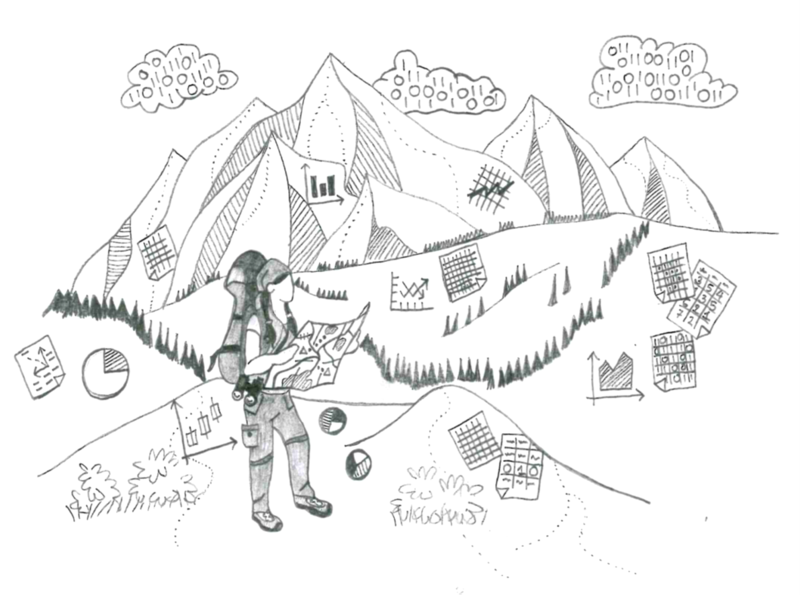 The idea for this event formed at the RDA plenary meeting in Barcelona, where I talked to Peter Doorn (director of DANS) about my idea of organizing a data workshop for ecologists. He suggested to make this bigger (incorporate other elements, not only data), and agreed to co-fund the event. Of course, Louise Vet, director of NIOO and ever enthusiastic supporter of Open Science, was more than thrilled to support the event too. Neil P Chue Hong plenary at the Open Science and Ecology mini-symposium. I loved this slide! Other subprojects, either finished or on-going, include evaluating the quality of meta-analysis in Microbial Ecology, the quality of data in microbial databases, the availability of code in Ecology (how many published papers also submitted the code they used for their analysis), as well as writing a short comment (in a review) about transparent, data-driven meta-analysis in Ecology. Well, I am now sold on Open Science, and happy to have received funding from the Netherlands Organisation for Scientific Research, NWO to do a three-year project that combines my PhD work with Open Data (stay tuned, as I’m first going for a maternity leave). Also, I definitely want to keep the Open Science and Ecology symposium and workshop as an annual event. I am also full of other ideas for projects on the interface between ecology/evolutionary biology and Open Science, and open for collaborations. Hopefully, I will find enough time over the next years to make some of these to become reality. Open Science principles and tools are useful for putting your research into a broader and more collaborative perspective. Although it might seem a pain to write a data management plan or to publish your data, it is good for you, and it is good for the progress of science and increases human knowledge (remember, that is why we do what we do). Learn more about Open Science! Be excited to be in a generation that is a part of a big change. It is challenging, but it is so rewarding. Open Science is the future, and I’m sure that if my baby becomes a scientist one day, her work will be evaluated by a spectrum of scientific outputs, with Open principles just being a regular part of her scientific work. I have a broad interest in ecology, conservation of species and habitats, evolutionary ecology, and behavior of animals (including humans). My current efforts focus on using my scientific expertise (evolutionary ecology) to bridge the gap between ecology/evolutionary biology and Open Science tools and principles, with a special focus of Open Data to address many challenging questions. I also combining a passion for development and application of new statistical methods (e.g. social network models, multi-event models, meta-analysis) with my general interests in different aspects of the world that surrounds us to study phenomena we observe in nature and human societies. I am also a pianist and a singer: I compose classical piano music, and am co-founder, lead singer and composer for my band, the Balkan Wanderers.